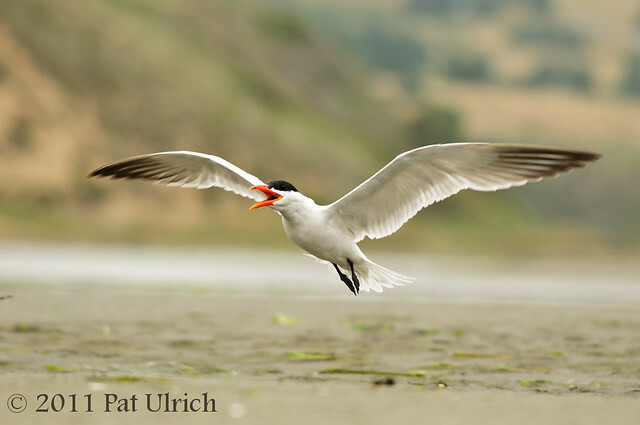 On an overcast morning during the summer of 2011, I found a sizeable flock of Caspian terns relaxing on the exposed mudflats of the Estero de Limantour in Point Reyes National Seashore. 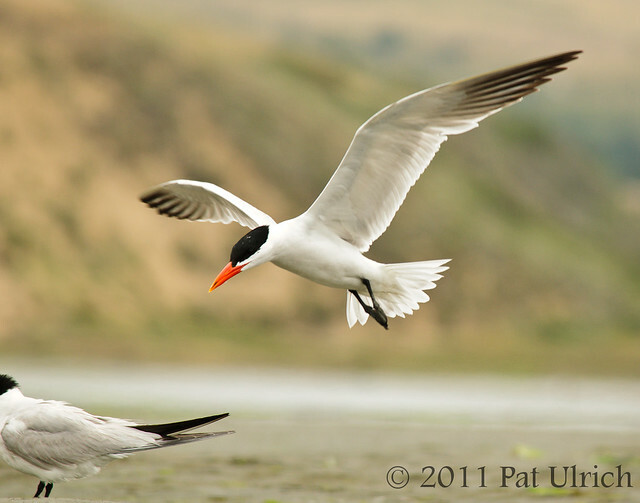 In my experience, terns can be somewhat difficult to approach, since they are quick to fly away. However, this flock was amenable to a ground-level approach. 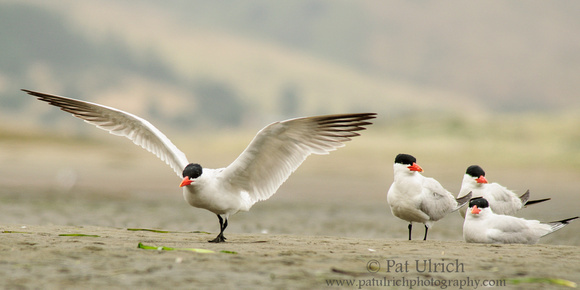 As I crawled towards them across the sand, something spooked the flock and they all took flight. Much to my delight, they circled around a few times and landed closer to my position. 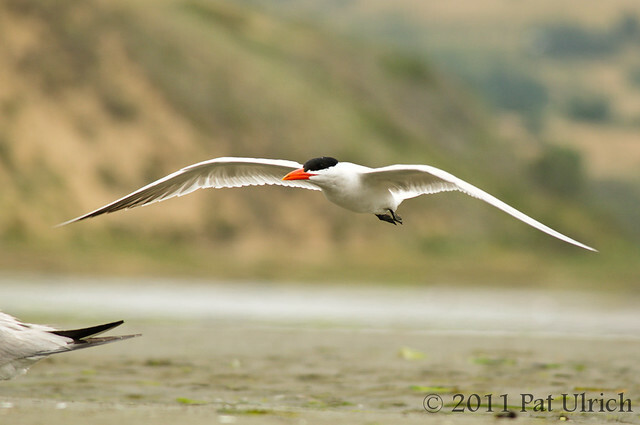 View more photos from the Limantour area of Point Reyes National Seashore.